The latest edition of Paperworld China ended on a bright note this year, with 23,368 visitors (2016: 22,932) from around the world gathering at the Shanghai New International Expo Centre in China. The top 10 visiting countries and regions were Japan, the US, Hong Kong, Taiwan, Korea, India, Germany, France, Thailand and the UK. From 21 – 23 September, the fair hosted 548 exhibitors from 13 countries and regions and showcased the most comprehensive product portfolio ranging from office supplies, stationery, hobby and craft products, as well as cultural products with oriental features. Sponsoring or exhibiting at the co-located Pigment and Colour Science Forum and TiO2 World Summit 2017 is the perfect opportunity to raise your profile, put yourself ahead of the competition and get unprecedented access to key decision makers. By sponsoring or exhibiting at these globally renowned events, you'll be able to reach an audience of 6,000 plus through inclusion in pre-conference marketing messages AND meet face-to-face with over 300 pigment and TiO2 decision makers at the conferences themselves. Both conferences are dedicated to bringing together key members of the pigments and colourants sector and the titanium dioxide supply chain to discuss the latest global projects, applications, technologies, processes, investment perspectives and much more. Companies including BASF and Schlenk have already confirmed their sponsorship packages so there's no time to lose! Download the sponsorship and exhibition guide to find out more, or contact Cherrie Keene today on +44 (0) 1372 802255 or ckeene@smithers.com to discuss your bespoke package. New: Event located in hall 4.1. In future ZELLCHEMING-Expo will be domiciled in hall 4.1 of the Frankfurt fairground. The change in halls will be implemented for the event in 2017. The exhibition will take place from 4 – 6 July 2017. Hall 4.1 provides some infrastructural advantages: Directly placed in the middle of the exhibition ground, with a light-flooded foyer, the hall is best connected to the public transport system. Furthermore, hall 4.1 has own parking levels which are related directly with the area. There are various food and beverage offerings in close proximity and one café on the exhibition hall, as well. This improvement should allow very short and so efficient distances. 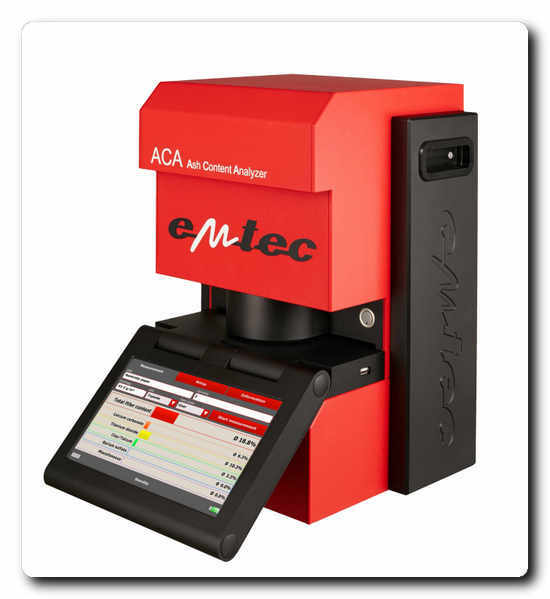 The Mesago Messe Frankfurt GmbH and the association ZELLCHEMING e.V. are looking forward to many future years of cooperative partnership. “Together with Mesago it has been possible to professionalize and to develop ZELLCHEMING-Expo. We have set commonly established goals and are looking forward to meeting these together,” summarizes Petra Hanke. 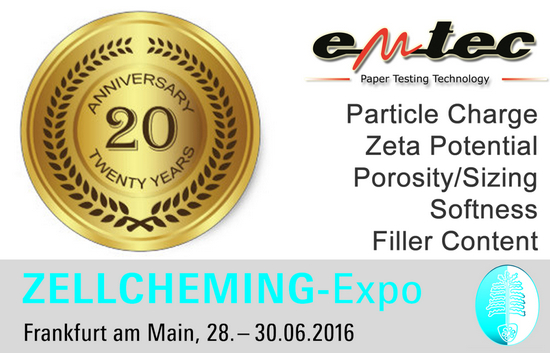 Further information to the event are available at zellcheming-expo.com. In recent years, consumer behaviour and shopping preference are changing rapidly in China, retailers need to react promptly in order to catch up with the trend. This applies to product variety, as well as store design and style. Many retailers in China are trying to transform their store image from a conventional to sophisticated style. Paperworld China 2016 will present a showcase, “Small yet Beautiful”, a model for stationery retailers. This area aims to help retailers enhance their display thus boosting business results. Local consultant and industry’s key opinion leader, Mr Mark Yang and store designer, Mr Ding Guoji of ODS Brand Design will be there to answer queries and provide solutions that retailers encounter in daily operation during the three-day show running from 20 – 22 September at Shanghai New International Expo Centre. More than 40 best-selling stationery brands in China will be on display in ”Small yet Beautiful”, such as 3M, Deli, edu3, LYRA, MAX, Pilot, Schneider, STU, Stabilo, Trodat, UHOO and Zebra. Creative Pavilion is a highlight at Paperworld China for the hobby & craft industry. The pavilion presents tools and materials that turn creativity into reality, and to ignite passion for handcrafts. Cooperating for the first time with PACC, Public Art Coordination Center from Shanghai, various exhibitors are offering hands-on experience at their booths. Visitors can enjoy patchwork, paper cutting, embroidery, stamp carving, pottery, felt wool products and more. Inside the Creative Pavilion is Creative Galleria, a dedicated display area for excellent handmade products. Seminars will also be conducted by experts. Prominent speakers include Mr Takada Kayobi from Japan, who will talk about the certificated qualification on Japan and China, Ms Wang Yuming from Taiwan who is going to present on flower pressing, Mr Zhao Zilong from China will talk about origami, as well as Ms Fang Peiling from Taiwan who will present on creating clay art. The special zone which focuses on designs with oriental culture features, Oriental Culture Zone, receives huge support from Art Exhibitions China to gather a group of regional museums to this year’s Paperworld China. The Palace Museum (Forbidden City), Shanghai Museum, Shanxi Provincial Museum Association and Qiuci Cultural Museum are among the participating museums to showcase their collectibles and licensing products. Relevant fringe programme events complement the zone. The forum on “Defining and popularisation of museums and cultural driven brands” is the must-attend event. High-calibre speakers are Dr Arnaud Dubois, Project Manager for Musee des Arts et Metiers, Mr Steve Tseng, Former Chief Director of eslite Foundation for Culture and Arts, Ms Hu Xuwen, General Manager for Shanghai Museum as well as Ms Helen Lin, Senior Manager for Newell Brands. In its 12th edition, Paperworld China welcomes over 420 exhibitors from China, France, Germany, Hong Kong, India, Indonesia, Japan, Korea, Malaysia, Taiwan, Thailand and Turkey. For easy sourcing, there will be a pavilion grouped by Taiwanese exhibitors, a destined area for Asian Designers’ Alliance and regional pavilions from Ningbo, Ninghai, Xiamen, Yiwu and Zhejiang. The show is jointly organised by Messe Frankfurt (Shanghai) Co Ltd, the China Chamber of Commerce for I/E of Light Industrial Products & Arts-Crafts and Guangzhou Foreign Trade South China Exhibition Corp Ltd.
European Paper Week is one of the most important and respected highlights of the pulp and paper industry calendar. 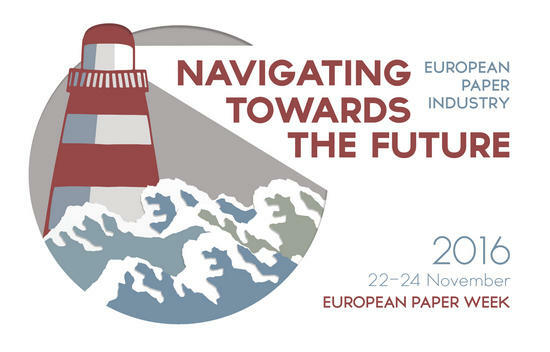 It brings together key players and representatives from across industry, related sectors and the European institutions, providing an annual platform for high-level debate on the issues that really matter to the paper industry. This year, the event will be held at the Radisson Blu Royal Hotel in the centre of Brussels, Belgium. Running from 20 – 22 September, Paperworld China 2016 will gather famous brands to display and launch new products. The fair will showcase a wide range of products including stationery, office supplies, school & artist items and gifts. Prominent brands such as Dokumental, Online, Pilot, Senator and Zebra for writing instruments, Lyra, Nicker, Pebeo, Simbalion and Superstrong for artist supplies, as well as Easymate and Foldermate for organisation aids will attend Paperworld China. Among the exhibitors, visitors can also find iBeacard, IBM, Robotcheers and TPPS for office supplies, as well as Handscript, Kiky, Languo, Paperblanks and Uzhi for paper products and school products. IBM, the world renowned brand for computer related hardware, is launching its toner cartridges in the Chinese market for the first time and using the fair to do so. At Paperworld China 2016, the company is expecting to meet business partners to launch its toner cartridges for HP laser printers in China. This imported product meets EU eco standards, and can offer high quality printing. Robotcheers will also use Paperworld China as a platform to introduce their commercial-use robot, which is able to communicate with humans and can move around independently. The company is targeting to become an important intelligent robot developer, and is expecting its product to be widely used as a receptionist in commercial buildings, shopping malls, exhibitions, hotels as well as restaurants. Creative Pavilion is one of the special zones in Paperworld China 2016. The zone is dedicated to hobby and handicraft materials and tools. Targeting buyers from dealers, department stores, retailers and bookshops, important brands such as Brother, Hirakata, Kidstoyo and Rosie’s Studio will present creative ideas at the fair in this pavilion. Pébéo, a French paint brand that has high standards on product safety and quality, is returning to the Creative Pavilion this year. At Paperworld China 2016, Pébéo will present the company’s new series “Mixedmedia”. This new drawing concept encourages artists to use two or more diverse painting materials and media to create an art piece. Tools and techniques for “Mixedmedia” will be introduced at the show. Seminars are also arranged for hobby & crafts related topics such as soft clay and knitting. Among the speakers are Ms City, who will offer a seminar on ball-jointed doll, as well as Ms Yu-ming Wang presenting on pressed flower on behalf of the United Pressed Flower Art Society, Taiwan. The 12th edition of Paperworld China will be held at the Shanghai New International Expo Centre. 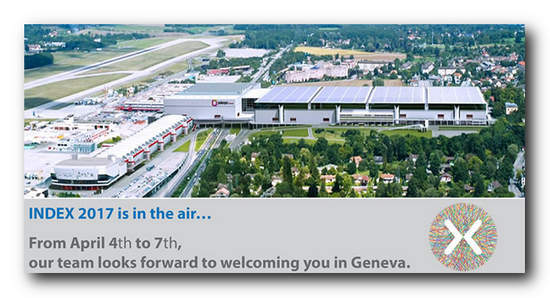 It is expected to welcome around 400 exhibitors and brands from 12 countries and regions. The show is jointly organised by Messe Frankfurt (Shanghai) Co Ltd, the China Chamber of Commerce for I/E of Light Industrial Products & Arts-Crafts and Guangzhou Foreign Trade South China Exhibition Corp Ltd. The focus of the three-day exhibition with congress is the pulp and paper production as well as the range of fiber based materials for the paper industry. Voith presents innovative products, latest references and developments for paper machine optimization, energy and raw material savings. Dr. Christian Naydowski, Vice President Technology 4.0, will present his speech “Optimized paper manufacturing processes using the Internet of things” during the Business Forum. Visit Voith at Zellcheming-Expo in Hall 11.0, Booth C10 at the fairgrounds in Frankfurt a. M., 28.-30. June 2016. 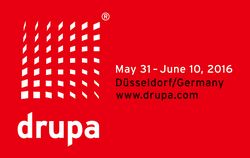 The countdown is running: From 28 – 30 June 2016 almost 160 exhibitors provide interesting insights into products and services along the process chain of the pulp and paper production at the exhibition ground in Frankfurt a. M. Besides well-known key players like Gebr. Bellmer, Siemens, Pöyry, Valmet and Voith Paper also a lot of smaller medium-sized companies will be on-site. Furthermore, various first-time exhibitors present themselves to a highly competent audience of industry professionals and showcase their expertise at the “Newcomer Pavilion”. ZELLCHEMING-Expo is not only the most influential German industry gathering but also the only exhibition of the European pulp and paper industry as well as their suppliers in Europe’s biggest paper manufacturing nation and attracts many visitors beyond its borders. This year the share of international exhibitors is with approximately 40 per cent equal to the previous event 2015. The top three international exhibiting companies 2016 are Finland, Italy and the USA. Further sources of information are available at the congress which is held in parallel to the exhibition and organized by the association ZELLCHEMING e.V. In addition to that visitors can gather more knowledge at the trend lounge’s market place “Fibers in Process” initiated by the publisher Deutscher Fachverlag. In more than 50 different lectures, recognized experts give a comprehensive overview of hot topics currently at the very heart of the industry. Whereas the congress especially focuses on raw materials and fibers, raw material waste paper or new materials in the field of polysaccharide research, the market place gives valuable insight into topics like process optimization, resource efficiency or energy recovery. The multifaceted fringe program of ZELLCHEMING-Expo offers visitors the possibility to get connected with the industry. The already established evening events enable participants to continue conversations in a relaxed atmosphere and to expand their network. On the first day of the event, the “After Fair” takes place in the foyer of hall 11.0. The “Summer Evening” of the association ZELLCHEMING e.V. invites into “Depot 1899”, a traditional restaurant in the former tram railway station in Frankfurt a. M. Visitors can look forward to a diversified program in an appealing atmosphere. 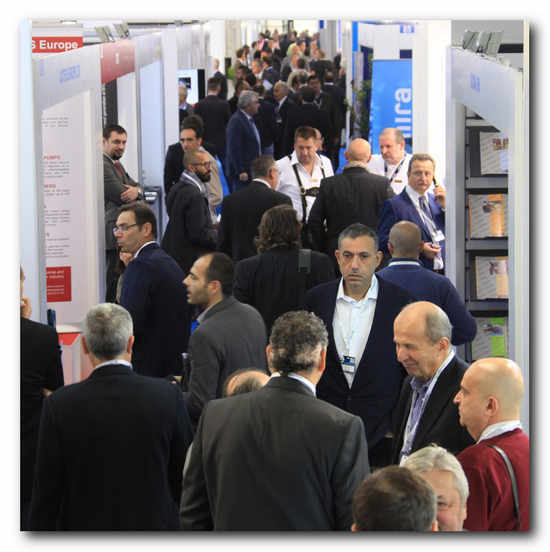 The exhibitor list of ZELLCHEMING-Expo, the congress program as well as the exhibition and congress registration are available online at zellcheming-expo.com. Visiting MIAC (12.13.14 October 2016) means obtaining a full overview of the technology and equipment available to the paper industry sector thanks to the constant participation of the leading companies in the sector which present the latest developments in machines, systems and avant-garde solutions to improve the management of the various stages in the paper production cycle. MIAC has reached its 23rd edition. It is an international meeting point that allows you to compare the technologies and business proposals of 270 companies present at the Exhibition. Taking part in MIAC means being one of 5,000 Visitors from across the globe who meet in Lucca in October of each year (last year’s MIAC Exhibition registered visitors from 56 Countries). Rapidly changing technological solutions require continuous education: MIAC is the answer to all this! During the 3 days of Exhibition take place 4 international Conferences, offering very interesting content and studied to provide professional information to the participants coming from all over the world. MIAC is held in Lucca/Italy, the only officially recognized “Paper District” in Europe. But Lucca is not only synonymous with the Paper Industry! It is also one of the major tourist destinations in Italy, and is sure to charm the Visitors of MIAC with its beautiful city Walls, Towers and Squares. The first day of IWB Week had a lot to offer its participants. The event Opening Ceremony attracted more than two hundred attendees and offered a very interesting program. The event, opened by Swedish Minister of Rural Affairs, Sven-Erik Bucht and the Chairman of Södra, Lena Ek focused on forest resources as well as sustainable bioeconomy of tomorrow. After the opening ceremony there was a very appreciated panel discussion about the policy of using biomass. The event continued by a focus session on sustainable and intelligent bioeconomy. The exhibition floor was offering many successful meetings including presentations and talks from the Open Seminars stage. The IWB Week After Work featuring the release of Innventias Global Outlook Report: “A Cellulose-Based Society” was a great success and gave the IWB Week participants a well-deserved and relaxed few hours with networking, mingling, nice food and drinks. Several exhibitors entertained their customers at their stands. So what happens today at IWB Week? • Opening hours 9.00 - 17.00 - WELCOME! • The conference program starts at 9.15 including four parallel conference sessions focusing on Advanced Biofuels, Power and heat from forest, Carbon fibre, Smart packaging, Biobased materials & the car industry, Nanocellulose and bio-plastics. There will be top interesting presentations by organizations as SunCarbon, the University of Quebec, Acreo, UPM and TeliaSonera. Click here to see the full conference program. You can still register for the conference online or onsite. • The Open Seminar program starts at 10.00 at the Open Seminar stage in the exhibition area. Organizations like Frontway, Czech Invest, Caverion and Canadian Council of Forest Ministers will present their latest news and innovations. • Enjoy a coffee, snacks or a drink at the Kemira Innovation Café in exhibition area. • Stop by the Media Partner Center and get updated on industry news and meet representatives from our carefully selected media representatives from around the world. MOST WELCOME TO STOCKHOLM AND IWB WEEK! For more information about the event, please visit the official website or download the The IWB Week app for mobile devices. How do consumers want to get a more sustainable world? What sacrifices, measures and opportunities do we see, today and in the long term? How do we feel about a transformation in which raw materials from the forest are used to manufacture new products? A new report from Innventia investigates the actual conditions for a more circular and biobased society. 2,500 consumers from five countries have had their say on how we can best make the world more sustainable. Innventia's latest report, Innventia Global Outlook: A Cellulose-Based Society, investigates the conditions for a transition to a circular and biobased society. What global changes, future opportunities and constraints do we have to deal with? How do the views of consumers differ in different parts of the world? How do we best accept responsibility for the development we see before us? This is Innventia's third report in a series of forward-looking reports that have gained a lot of international attention. Together with Kairos Future, Innventia has completed a consumer study in Sweden, Germany, the United States, Brazil and China. 2,500 consumers were asked about sustainability, the environment, lifestyles and impact. The report reveals several surprising results regarding where consumers really are, in thought and deed, prior to a switch to a more circular and sustainable society. The key insights from the report will be presented on 24 May, when representatives of Innventia and Kairos Future will be on hand. +46 (0)768-7 67 285, marco.lucisano@innventia.com. The report, A Cellulose-Based Society, comprises an international survey, a global analysis and future scenarios. The survey was distributed digitally at the start of 2016 to 2,500 people between the ages of 16 and 88 in five countries (500 respondents per country in Sweden, Germany, the United States, Brazil and China). Smithers Pira and TAPPI are excited to share an exclusive preview of the 2016 Specialty Papers US agenda. This year's agenda will focus on thriving and surviving in the changing specialty papers industry. It will provide you with the answers to the questions that are keeping you up at night. Newly researched, with the assistance of our expert advisory board, the agenda will boast expert speakers from suppliers, mills and end-users. Many of your colleagues from around the industry have already made their plans to attend this year's conference and exhibition. We are anticipating our biggest conference to date! From 3 to 5 May, a A.Celli Nonwovens S.p.A. will participate at IDEA 2016, the most importantinternational event for 2016 in the world of nonwovens, organised and promoted by INDA (Association of theNonwoven Fabrics Industry). IDEA is a must for anyone involved in nonwovens. An exhibition of technologies, conferences, and an innovationaward are the highlights of this trade show that every three years calls together the most brilliant minds in the field,hundreds of exhibitors, thousands of participants coming from all over the world, and lots & lots of… ideas! The 2016 edition moves from its traditional venue in Miami, Florida, to the Convention and Exposition Center inBoston, Massachusetts. A.Celli Nonwovens invites all visitors to its stand no. 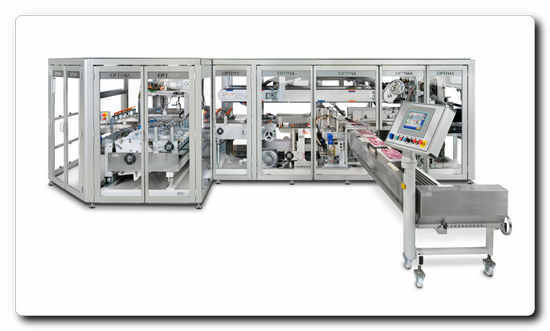 1541, where it will be pleased to illustrate its broadproduction range and dedicated technical solutions: winding and rewinding lines, lines for packaging, palletizingand reel handling for nonwovens, printing technologies for different supports including nonwovens, PP/PE film andtissue in a wide range of grammages and much more. A.Celli’s offer is completed by a reliable 24/7 post-sales service and by MySp@res®, the service born to be able toidentify, localise and request an estimate for what concerns all spare parts components. Mitsubishi HiTec Paper is exhibiting a broad portfolio of high-quality coated speciality papers at Drupa 2016 (Hall 8B, Stand D24). Amongst other things, the German speciality papers manufacturer is showing papers designed for various digital printing technologies and innovative solutions for the packaging and label area. A new product is being launched: Giroform DIGITAL - ONE FOR ALL. 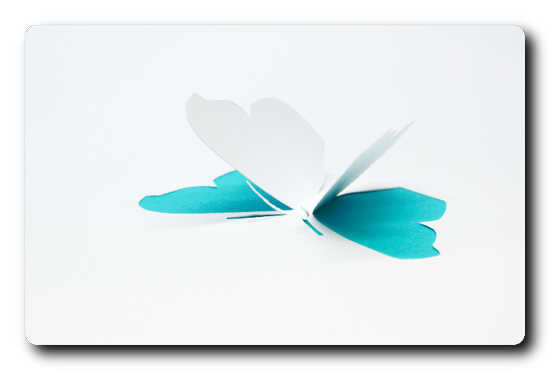 jetscript MH 1484 CCB, a 134 g premium matt coated inkjet paper with a unique safety feature. A coloured base paper allows for easy verification by tearing. Ideal for coupons, entrance tickets and lottery tickets. 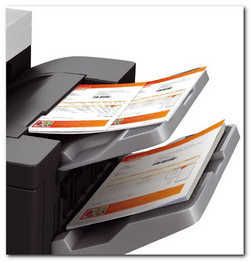 Suitable for desktop ticket printers, large format or high-speed inkjet printing machines. The cast-coated label paper supercote range meets all the demands made of an excellent label paper. Also in moisture and alkali resistant versions. Ranging from 80-170 g, the products are optimised to meet the needs of the drinks industry and are also ideal for composite cans and shoulder boxes. Supercote has particularly good processing properties which give premium products the appearance that they deserve at point of sale. Giroform DIGITAL - ONE FOR ALL, an 80g high quality carbonless paper for the digital production of individual, personalised forms and documents. It is available as CB, CFB and CF in up to 6 colours, in reels and sheets, and is suitable for use on toner printing systems of leading manufacturers, copiers and printing systems in the Business Solutions sector. Our sales team is looking forward to your visit in Hall 8B, Stand D24, and will be pleased to supply you with further information. Mitsubishi HiTec Paper Europe GmbH is a German subsidiary of Mitsubishi Paper Mills Ltd., Japan, one of the world's leading manufacturers of speciality paper. The roughly 700 employees at Mitsubishi HiTec Paper Europe produce high-quality thermal, digital imaging, carbonless and label papers at two tradition-rich locations in Bielefeld and Flensburg. Each factory stands out for own base paper production, state-of-the-art production machinery and innovative coating technologies. Through its dense global sales network, Mitsubishi HiTec Paper Europe supplies a full range of speciality papers featuring a modular system for every application and printing technology – and is a highly capable partner whenever customized coated paper solutions are required. With Papermaking 4.0, Voith is introducing its networked solutions to increase the efficiency, productivity and quality of the entire paper production process supply chain. In addition, Voith will be showcasing NipcoFlex T, a shoe press developed to reduce energy con-sumption and raw material in tissue production. At Tissue World, which is taking place in New Orleans from March 15 to 17, trade visitors will find Voith at stand E 240. Systems like OnCare and OnEfficiency are solutions that stem from the new Papermaking 4.0 concept. OnCare facilitates the maintenance management of paper machines, from planning, servicing and documenta-tion through cost control to spare parts management. The permanent monitoring of the entire paper machine allows optimization potentials to be identified and preventive maintenance measures to be planned and implemented. Preventive maintenance reduces unscheduled downtimes and the paper machine’s availability will increase. Unlike conventional software solutions, OnCare represents a complete maintenance concept, with the distinctive feature being that data are already embedded in the software system. Likewise, it is possible to integrate OnCare in existing systems. In addition, Voith also developed OnEfficiency to maximize the paper ma-chine’s potential. OnEfficiency Forming gets right to the process at the heart of papermaking: sheet formation. 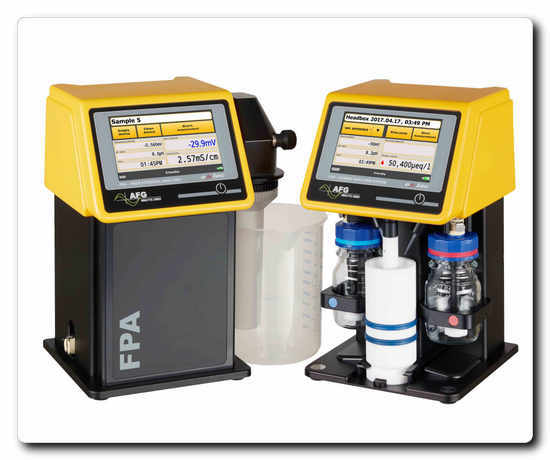 This is measured and analyzed with a package of sensors so that dewatering, retention and flocculation can be stabilized and at the same time coordinated. As a result of the sta-ble process, raw materials and chemicals can be saved and energy usage reduced. Voith is a specialist in the entire paper manufacturing process and ensures that its customers benefit from a dependable documentation of practical experience in papermaking process management. The increase in machine efficiency and improvement of paper quality are also at the core of the NipcoFlex T. At various paper mills, the innovative shoe press from Voith has already demonstrated that it can increase productivity and reduce costs. NipcoFlex T offers the benefits of up to 5% higher dry content, representing up to 20% thermal energy savings or up to 20% higher production, while maintaining the same or better paper quality. The production parameters of the press can be monitored online and re-adjusted if necessary. Alfredo Sarli, Sales Manager at Voith Paper Air Systems, will be providing further insights into the latest work on tissue papers in his presentation “Energy Optimization of the Yankee Dryer Hood” to be held at 9:10 am on March 16, 2016 at the conference running alongside Tissue World. Smithers Pira, the worldwide authority on the packaging, paper and print industry supply chains, has announced that two of its industry experts are to present at Drupa 2016. Dominic Cakebread, renowned expert in global packaging, will explore prospects for printing within the packaging market. Driven on the one hand by brand owners’ increasing demands for greater differentiation, personalisation and a more engaging relationship with consumers, and on the other hand by the increasing availability of new and disruptive technologies, the printing requirements for the global packaging industry are expected to undergo major change over the next decade, with ever higher quality and faster digital printing expected to take share from traditional printing methods. Dominic will examine the main opportunities and barriers to growth and how the printing industry can best meet the future demands of the global packaging sector. Sean Smyth, who has spent over 25 years as a consultant in the print industry, will analyse disruptive trends in functional and industrial printing in a talk that focuses on the rapidly emerging use of printing-for-profit in novel areas outside the traditional graphics and packaging arenas. Inkjet is being adopted strongly in many areas of functional printing – promotional items, glass, electronics, décor, and 3D. Additive manufacturing is being studied in pure and applied research labs in universities, and at large companies, with new fluids and techniques being brought to market. Sean will outline the findings of Smithers Pira research into the sector, presenting highlights from the recently published market report The Future of Functional and Industrial Print to 2020. 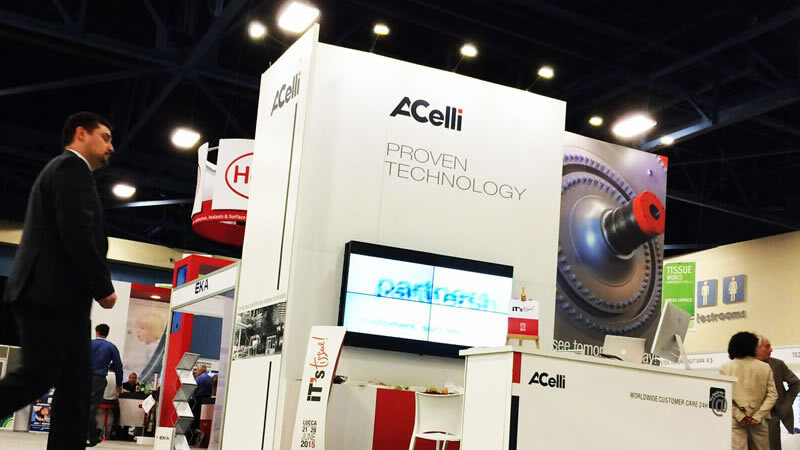 From March 14 to 17, A.Celli Paper will be present at the Tissue World New Orleans show, taking place at New Orleans Ernest N. Morial Convention Center, New Orleans, U.S.A. Established since 1993, Tissue World is the leading global event series serving the tissue industry worldwide. With events in Shanghai, Istanbul, Milan, New Orleans and Sao Paulo it offers an integrated and intertwined platform consisting of exhibitions, conferences and a magazine providing an unmatched offline and online meeting place to do business, exchange ideas and learn, all year round. A.Celli Paper will be pleased host you at booth number D380 (Hall G), to illustrate the latest novelties in system solutions for complete turn-key plants, in the production and rebuilding of tissue PMs and rewinders for tissue, flat papers and cardboard. Come to visit us at booth number D380 (Hall G). 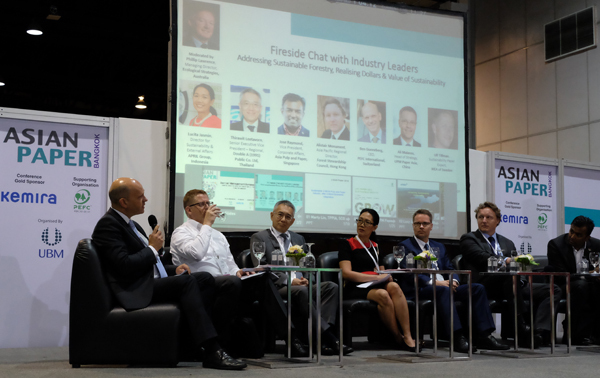 UBM Asia, organiser of Asian Paper – the region’s premier event for the pulp, paper, packaging, corrugated and print industry, and ASEAN Sustainable Energy Week, a dedicated event in Southeast Asia for renewable energy sources and technology, has announced to co-locate both events for their next edition, which will be held in June 2016 at the Bangkok International Trade and Exhibition Centre (BITEC). The two events will provide pulp, paper, packaging, corrugated and print industry professionals access to renewable energy sources and technology, including wind and solar power, thermal and waste energy, hydro-powered programs, as well as bio-mass and other forms of green technology. The success of ASEAN Sustainable Energy Week reflects the growing opportunities for the renewable energy market in the ASEAN region, with Thailand currently promoting alternative energy as a national agenda issue with a goal to increase the share of renewable energy to 25% of the country’s energy demand by the year 2021. “We are delighted to be able to work in close co-operation with ASEAN Sustainable Energy Week in creating a must-attend event for important industry decision makers, C-level executives, such as Buyers & Sourcing Personnel, CEOs & Decisions Makers, Industry Associations, Key Government Officials, Mill Owners, Managers & Supervisors, Paper Merchants, Paper Technologists, Paper Traders, Distributors, Wholesalers, Designers, Printer & Publishers, and R & D Professionals etc.,” said Jennifer Lee, Event Manager, Asian Paper. Expected to attract over 30,000 trade visitors, Asian Paper Bangkok, now in its 14th edition, and ASEAN Sustainable Energy Week in its 16th edition, will provide an invaluable opportunity to experience and view innovations in all of these sectors, while providing key networking possibilities. Apart from the trade show, both events will also feature a stellar conference with hot topics addressing the trends, forecasts and innovations, as well as technical tracks, in the case of Asian Paper, which will focus on the latest developments in the pulp, paper, packaging, corrugated and print production and maintenance with innovative veteran speakers. Asian Paper Bangkok will be held from 1-3 June, 2016 and ASEAN Sustainable Energy Week will be held from 1-4 June, 2016 at the Bangkok International Trade and Exhibition Centre (BITEC). A member of the UBM Asia Group of Companies, we organise events and conferences in a variety of industries, including aquatic and pet, cruise tourism, information technology, jewellery, paper and nonwovens, etc. The company stages leading events in its targeted industries across the world, attracting quality exhibitors, trade visitors, conference attendees and speakers from all over the world. These events are important business platforms where our customers can meet and network with their new and existing business partners face-to-face. UBM plc is a leading global company. We inform markets and bring the world's buyers and sellers together at events, online and in print, and provide them with the information they need to do business successfully. We focus on serving professional commercial communities, from doctors to game developers, from journalists to jewellery traders, and from farmers to pharmacists around the world. Our 6,600 staff members in 31 countries are organized into specialist teams that serve these communities, helping them to do business and to work effectively and efficiently in their respective markets. The 2016 Progress in Paper Physics Seminar will be held in Darmstadt, Germany, August 22-26, 2016. The Seminar provides a forum for the world’s leading scientists in paper physics as well as for engineers from industry interested in new scientific developments and innovations. The call for papers will be published in autumn 2015. Abstracts are due March 31, 2016. Notification of acceptance will be before April 30, 2016. We look forward to seeing you at PPPS 2016. 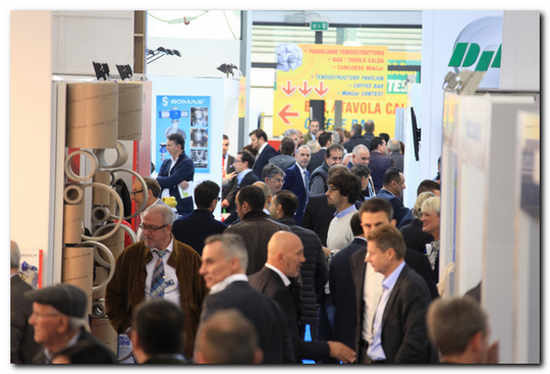 The evaluation of the exhibitor and visitor survey confirms ZELLCHEMING-Expo as an important dialogue platform for the European pulp and paper industry. 90 % of the exhibitors are planning to participate in 2016 again and 87 % of the visitors intend to visit ZELLCHEMING-Expo 2016. 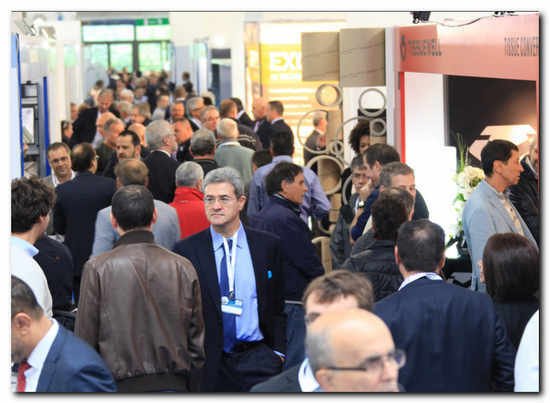 ZELLCHEMING-Expo offered 153 exhibitors the possibility to present their products and solutions to an experienced audience. 83 % of the exhibitors evaluated the quality of the visitors with very good and good. Almost 80 % of the 1,832 visitors are involved in the procurement decisions in their companies. 86 % of the visitors declared that they have found the information which they were looking for and 78 % of the visitors evaluated the managed expert discussions with exhibitors as very good and good. With an increase in visitor numbers of more than 10 %, the quantity of the visitors rose compared to the previous year. 93 % of the exhibitors recommend ZELLCHEMING-Expo. 41 % of the exhibitors came from abroad and spread across 14 different countries. This represents an increase of 4 %. The top 5 foreign exhibitor countries 2015 were Finland, Sweden, Italy, the USA as well as Switzerland. Furthermore, the number of international visitors rose by 3 % compared to the previous year. Therefore, 24 % of the visitors came from abroad which spread across 30 countries worldwide. 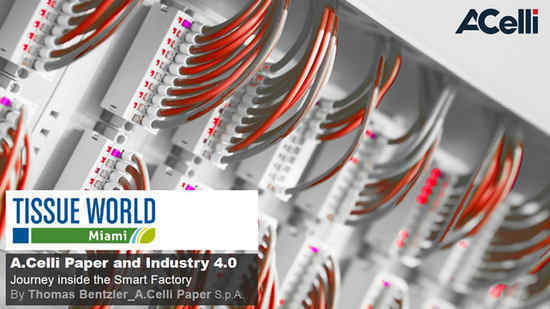 According to the slogan “Paper & Fiber World 2030 – What does the future hold for the paper industry?” the congress offered a top-class and informative lecture program that was pursued with great interest by 400 congress participants. Registrations for the 48th Pulp and Paper International Congress, promoted by ABTCP – Brazilian Pulp and Paper Technical Association – are already available at ABTCP website, www.abtcp2015.org.br, as well as information on values. The event will take place next October 06, 07 and 08, at the Transamérica Expo Center, in São Paulo. By paying the registration, visitors assure, in advance, their attendance to the Congress, whose main subject this year will be Innovation focused on Economy, Energy and Bio-Inspired Materials, essential to the continuous improvement of all field players. For Francisco Valério, Congress president, such space is crucial to bring visibility to the presented papers, which highlight the latest trends in the industry. “Besides, I believe there is an exchange of information occurring for the last two years, because people attending the Congress are skilled and have a lot of knowledge to share”, he comments. So, the event technical sessions will have special emphasis, with important works being presented by world-renowned researchers, from similarly renowned institutions. Such is the case of the presentation of Luiz Ramos, Associate Professor in the Chemistry Department of the Federal University of Paraná (UFPR), which will focus on the production of cellulosic ethanol from eucalyptus wood chips with steam pretreatment methods (self-hydrolysis) followed or not by alkaline delignification. “Aspects related to enzymatic hydrolysis under high total solids content will be presented, using the latest generation enzymes, and the conversion yields will be compared to those obtained from raw materials of agricultural origin, such as sugarcane bagasse. This approach will allow comparing these two models and will open a discussion on the feasibility of this initiative for the sector”, he highlights. He still notes his lecture will be oriented towards the discussion of premises directing the implementation of bio-refinery activities and the perspectives such option could bring to the industry. For the academic, ABTCP is the main national forum for the discussion of state of the art and innovation in all processes involved in the manufacture of pulp and paper, including the evaluation of new market trends. “And this extends to the search for new niches, based on sustainable technologies, for the production of chemical products, biofuels and biomaterials whose production is associated with the concept of bio-refineries. Therefore, it’s an essential event to establish contacts and expand horizons, the ideal condition for those wishing to keep up with information and updated with the major trends of a market in constant evolution”, Ramos stresses. History and evolution of pulp and paper industry in Portugal, and particularly in the companies associated to the Portugal Paper Industry Association (CELPA), will be taught by Marta Souto Barreiros, Forest Engineer of the entity, with special emphasis on efficiency and sustainability in water use and its critical analysis. The specialist believes the main challenge for the industry, on a worldwide basis, is the substantial reduction of consumption and improved utilization of water resources in the production of pulp for paper. “The companies associated to CELPA have made great efforts aiming at the partial or total closure of their circuits, with the intention of minimizing the use of water and, eventually, be able to operate with zero discharge”, she highlights. According to Marta, in the last 100 years there has been a major progress in the European companies of the sector, which reduced their specific consumption from 300m3/ton to something between 20-30m3/ton. In her opinion, the Brazilian pulp and paper industry enjoys strong dynamism and international reputation. “An event of this nature will allow the dissemination and knowledge of new projects, technologies and the best that has been done in various areas of industry. It also brings the opportunity, for both Brazilian and other countries technicians, to exchange experiences and ideas”, she believes. On his turn, Michael Paleologou, Canadian, a specialist in Chemical Analyses, Biomass, Industrial Paper and Product Development, from FP Innovations, will talk about the opportunities for chemicals recovery in Kraft pulp plants, based on the latest technologies developed by his company through the years. “Such technologies will be discussed with respect to their main features, as well as their technical feasibility, process integration and economy”, he says. According to him, such resources can also be used in Brazil, recovering chemical products from waste or process flows, and may result in significant savings concerning chemicals or help to diversify the products portfolio in Kraft pulp mills. “Lignin can be used in several high value applications, such as: phenolic resins, thermoplastic polyurethane foams, and also as dispersers and flocculants”, explains the expert. Paleologou highlights that the 48th Pulp and Paper International Congress offers a unique opportunity for learning new technologies and products, as well as a chance of meeting other industry professionals and discuss matters of common concern and interest. The event will also offer papers presented by Nilda de Fátima Ferreira Soares, Dean of Viçosa Federal University; Giancarlo Pasquali, Researcher of Rio Grande do Sul Federal University (UFRGS); Jorge Luiz Colodette, Full Professor of Viçosa Federal University; Juan Carlos Villar Gutiérrez, Specialist in characterization of new cellulosic raw materials and biotechnology applied to the paper industry by INIA; in addition to Katsuyuki Kadota, Senior researcher at Oji Holdings Corporation. 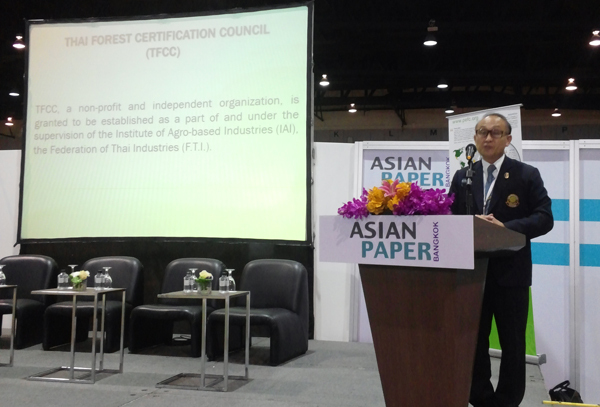 ABTCP 2015 - 48th Pulp and Paper International Congress and Exhibition, arranged by ABTCP, will take place from October 06th to 08th this year, in São Paulo, SP, and is recognized as one of the major sector occurrences, bringing together professionals willing to exchange knowledge and experience on such productive chain, in the most diverse areas. Such is its representativeness for the sector that this edition estimates to host over 400 experts and technicians of international reputation and over eight thousand visitors. The event happens in conjunction with the also traditional industry Manufacturers and Suppliers Exhibition. Hours: Congress – from 9:00 AM to 05:00 PM; Exhibition – from 01:00 PM to 08:00 PM. The Confederation of European Paper Industries (CEPI) has opened the registration for European Paper Week 2015, taking place on 17-19 November in Brussels. This year’s 17th edition promises aneven wider range of topics, incorporating new features such as a session on the European pulp and paper market outlook by RISI Economists. The overriding theme is Paper Industry 4.0. To register, go to www.cepi.org/epw. The early bird fee ends on 30 September. If you have any questions, please contact Annie Xystouris at a.xystouris@cepi.org mobile: +32(0)486 24 36 42. The 48th Pulp and Paper International Congress, promoted by ABTCP – Brazilian Pulp and Paper Technical Association - which will take place in October 06 to 08, at the Transamérica Expo Center, in São Paulo, has gained increasing importance and strengthening thanks to the papers presented, which aim to highlight the latest technologies and industry trends. This year, the Congress will bring a special feature on its technical sessions: all papers to be presented were evaluated by world-renowned researchers, from institutions such as the Portuguese Pulp and Paper Association and the Federal Universities of Viçosa and Paraná, among others. “The Congress is essential to give visibility to the works developed by industry experts. I believe that this exchange of information has been happening over the years, because people who attend the Congress are trained and have much knowledge to share", says Francisco Valerio, president of the Congress. - Juan Carlos Villar Gutiérrez, an expert in the characterization of new cellulosic raw materials, less contaminating procedures for pulp production, biotechnology applied to paper industry, from INIA. - Katsuyuki Kadota, Senior Researcher at Oji Holdings Corporation. This year the Congress theme will be focused on the binomial "Innovation and Competitiveness" and, in parallel, the 1st Ibero-American Conference on Bio-economy will take place, a simultaneous event held in conjunction with ABTCP 2015, focusing on Economy, Energy and Bio-inspired Materials – BEM 2015, organized by Riadicyp - Red Iberoamericana de Docencia e Investigación en Celulosa y Papel. Such is its representativeness for the sector that this edition estimates to host over 600 experts and technicians of international reputation and over eight thousand visitors. The event happens in conjunction with the also traditional industry Manufacturers and Suppliers Exhibition. Trends that will permeate the future of the sector will be discussed, as well as incentives for innovation and competitiveness required to identify innovative solutions to address the challenges of the current global economic times. The Ibero-American Conference will take place in parallel with the traditional ABTCP Congress this year and will highlight scientific papers and cases in the pulp and paper industry. The Pulp and Paper International Congress, this year in its 48th edition, will take place from October 06th to 08th at the Transamerica Expo Center, in São Paulo, and establishes itself as a reference in the global agenda of industry technical events. It’s a great opportunity for the visitor to get acquainted with the trends which will permeate the future of the sector, as well as to attend the discussions with the leading experts in the pulp and paper industry. This year, the Congress theme will focus on the interface “Innovation and Competitiveness” and, in parallel, the 1st Ibero-American Conference will discuss Bio-Economy, as a concurrent event, carried out jointly with ABTCP 2015, under the central theme “Innovation”, with focus on Economy, Energy and Bio-inspired Materials – BEM 2015 - organized by Riadicyp - Red Iberoamericana de Docencia e Investigación en Celulosa y Papel (Ibero-American Network for Teaching and Research on Pulp and Paper). “The Congress is essential to bring visibility to the work carried out inside ABTCP itself. The entity counts on several technical committees, such as Cellulose, Environment, Energy, Maintenance, Recovery and Energy, besides additional production process steps. So, such participation and share of information between them brings much value, as the expertise of professionals from the pulp and paper sector and from Riadicyp experts will be added”, highlights Francisco Valério, president of ABTCP Congress. Over the years, more and more attention has been given to carry on simultaneous events to ABTCP Congress, as a means to add value to the speeches and promote interaction between academic researchers and industry professionals, manufacturers and suppliers, among others, about successful experiments in pulp mills of major global players. “I believe such exchange of information has been occurring over the years, because people attending the Congress are qualified and have a lot of knowledge to share”, reminds Valério. For Song Won Park, from São Paulo University (USP), who will chair the 1st Ibero-American Conference on Bio-Economy, ABTCP Congress will enhance the relationship between industry professionals, besides presenting scientific papers from several Ibero-American countries. “The initiative of Riadicyp members, attending ABTCP Congress, will certainly work for enriching the various subjects already traditionally addressed annually by the Association", states Park. For the last years ABTCP has been working hard in order to improve its processes and add value to all activities developed to the industry professionals. “In this context, the Annual International Congress has received special attention, since it is our main technical event", states Darcio Berni, ABTCP Executive Director. Still, according to Valério, the event, which aggregates the Exhibition of technologies parallel to the Congress, is also an essential moment to professional training. “The Congress is a complement of the work developed throughout the year by ABTCP Technical Committees and seminars, on several subjects related to paper, pulp and environment, among others. This combination helps, and helps a lot, the professional training”, he says. In his opinion, another issue which will be emphasized during the three days of the event in 2015 will be the ultimate inclusion of the topic sustainability in the business vision of the sector’s companies. “Reputation, governance, respect to human rights, the environment, products quality, everything is related to sustainability in a long term strategy. I would say that, in this century, more and more, such intangible items will have a greater importance. It is a market survival issue", he explains. Researches related to the interaction of forest based businesses with the new bio-economy will be presented during this joint event, in 2015; efficient use of resources, with sustainable management and consumption of materials; the integration of the forest based biomaterials sector with the renewable energy sector; among others. Seven topics will be discussed during ABTCP Congress and the 1st Ibero-American Conference on Bio-Economy, such as the market for lignocellulosic materials, pulp and paper; forest based biomaterials, bio refinery and biotechnology; production of pulp, nanotechnology, delignification and bleaching; production of paper, advanced applications, nanotechnology and recycling; and other matters like chemical recovery and concepts of energy efficiency; engineering of process systems, including automation; environmental management; packaging and tissue paper. According to Park, ABTCP Congress, besides being of technical relevance, is also a useful tool to historical analysis. “The initial Congress editions, when the technology of pulping and bleaching of Kraft eucalyptus cellulose was discussed, still are unique reference sources for young researchers”, he exemplifies. He believes that a very effective internationalization cycle in discussed themes occurred in the last decade. Due to this fact, ABTCP and Riadicyp, joined forces to set up this event in the current model of "Held Jointly", in other words, events which are organized in conjunction, where several conferences combine their activities. “It will be a very productive exchange of experiences among the participants of both events, as already happed in 2012, under this format, during the 45th ABTCP, which was arranged in total combination with VII CIADICYP”, he highlights. In parallel to the Congress, the traditional International Pulp and Paper Exhibition, which brings together more than 100 exhibitors, takes place in the pavilions of Transamerica Expo Center. It is a modern and dynamic structure which offers to more than eight thousand visitors a unique opportunity to build relationship with key suppliers and manufacturers in the industry, bringing customers and partners together by concentrating, in one place, national and international companies working throughout pulp and paper production chain. Since 2013, the Association keeps on making changes in the Congress and Exhibition, positively perceived by the attendees, such as expanding the scope of presented themes, investments in the physical structure of the event, placing the Congress and the Exhibition in the same area, and bringing increasingly renowned speakers encompassing the most diversified and essential topics in the forest area. The 48th Pulp and Paper International Congress and Exhibition, arranged by ABTCP, will take place from October 06th to 08th this year, in São Paulo, SP, and is recognized as one of the major sector occurrences, bringing together professionals willing to exchange knowledge and experience on such productive chain, in the most diverse areas. Such is its representativeness for the sector that this edition estimates to host over 800 experts and technicians of international reputation. 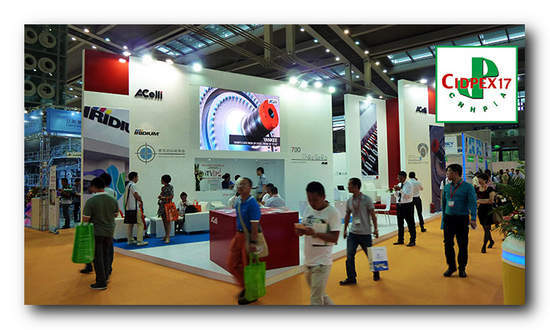 The event happens in conjunction with the also traditional industry Manufacturers and Suppliers Exhibition. Hours: Congress – from 9:00 AM to 05:00 PM; Exhibition – from 01:00 PM to 08:00PM. 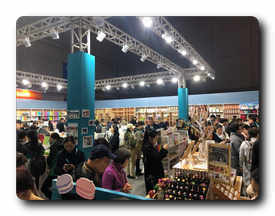 Top-notch stationery and gift items with Chinese attributes, as well as the most popular hobby & craft techniques and live demonstrations, will be staged at Paperworld China, held from 15 – 17 October 2015 at the Shanghai New International Expo Centre, Hall N1 – N2. Aside from a selection of high-quality traditional arts, fine crafts, calligraphy and painting showcased by a number of exhibitors, the Oriental Culture zone will collaborate with the Anna Chennault Foundation, which is committed to protecting intangible cultural heritage and advocating national culture. The foundation’s exclusive collection of stationery, desktop products and gift items characterised by a blend of modernity and Chinese tradition, will allow visitors to enjoy a prestigious sourcing experience as well as forge a commercial channel for the cultural industry. The return of Oriental Culture zone maintains the momentum from the presentation, held in July in Suzhou, which was supported by hundreds of culture and arts professionals and related companies. The promotional efforts will expand to Northern and Southern China as well as Taiwan to draw more exhibitors from different provinces who will bring their local uniqueness to the show. Stationery combining traditional oriental features and contemporary design has experienced growing popularity in recent years, particularly among middle range to high-end domestic and overseas consumer groups. It is regarded as a representation of individuality and personal taste and is often used as a corporate gift. Paperworld China envisions enormous potential for providing hobby & craft professionals a quality avenue for information exchange, network and trading. For this purpose, the hobby & crafts element was added to the show’s portfolio in 2013 and continues to receive overwhelmingly positive feedback from the exhibitors. In 2015, Paperworld China and the DIY Industry Promotion Council of Shanghai Creative Industry Association have joined forces again to launch the Creative Pavilion, which is expected to house more exhibitors and a larger exhibition space. Hobby & craft has become a pop culture phenomenon in the Chinese consumer market, fuelling the rapid development of China's creative industry. In particular, the post-80s and 90s generation consumer groups pursue unique experience and original innovation, which propel the huge demand for hobby & craft products. To date, there are more than 1,000 websites in China dedicated to hobby & craft enthusiasts, which have almost 400 million members. Just in Taobao alone, the e-commerce giant in China, there are 130,350 individual shops solely for hobby & craft products, materials, tools and related items. Intellectual property rights play a growing significant role in international trade and it is particularly essential for China as it is one of the world’s top five largest patent application countries. While upgrading original design and innovation capability, Chinese enterprises must strengthen their intellectual property rights consciousness to protect their rights and interests when launching new products in overseas markets. In response to the pressing issue, one of the show’s fringe events will be hosted by eminent intellectual property lawyers who will closely examine intellectual property rights and related issues, which are often encountered by Chinese enterprises. The seminar will encompass an introduction to intellectual property rights, case studies as well as the latest trends and overseas promotion channels. Paperworld China is organised by Messe Frankfurt (Shanghai) Co Ltd, the China Chamber of Commerce for I/E of Light Industrial Products & Arts-Crafts and Guangzhou Foreign Trade South China Exhibition Corp Ltd.
For more information about the show, please visit www.paperworldchina.com or email: a href="http://www.pulp-paperworld.com/malto:stationery@hongkong.messefrankfurt.com" title="blocked::mailto:stationery@hongkong.messefrankfurt.com. Messe Frankfurt is one of the world’s leading trade fair organisers, generating around €554 million in sales and employing 2,130 people. The Messe Frankfurt Group has a global network of 29 subsidiaries and 57 international Sales Partners, allowing it to serve its customers on location in more than 160 countries. Messe Frankfurt events take place at more than 30 locations around the globe. In 2014, Messe Frankfurt organised a total of 121 trade fairs, of which more than half took place outside Germany. Comprising an area of 592,127 square metres, Messe Frankfurt’s exhibition grounds are home to ten exhibition halls. The company also operates two congress centres. The historic Festhalle, one of the most popular venues in Germany, plays host to events of all kinds. Messe Frankfurt is publicly owned, with the City of Frankfurt holding 60 percent and the State of Hesse 40 percent. 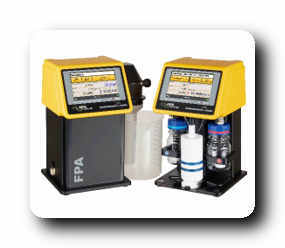 For more information, please visit our website at www.messefrankfurt.com. The two industry-leading groups will help program and co-promote SPI’s Re|focus Recycling Summit and Expo and GIE Media’s Paper & Plastic Recycling Conference (PPRC). 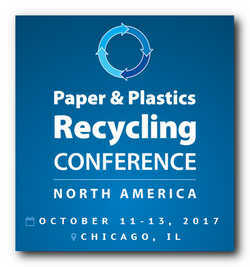 SPI: The Plastics Industry Trade Association and GIE Media, publisher of Recycling Today, announced Tuesday that they would form a partnership to co-promote SPI’s Re|focus Recycling Summit & Expo, which will take place April 25-27, 2016 in Orlando, Fla., and GIE’s Paper & Plastics Recycling Conference (PPRC), which will take place October 14-16, 2015 in Chicago. The two-year partnership between SPI and GIE Media means both groups will provide programming for the other, while also assisting with speaking recruitment. Both SPI and GIE will sponsor and exhibit at the other’s event as well. For SPI, this makes GIE Media its latest promotion partner for Re|focus. SPE’s Plastics Environment Division has also been announced as a programming partner, providing technical content on recycling and the manufacturing of plastic products with recycled content. For more information on Re|focus, to include exhibit and sponsorship opportunities, click here. 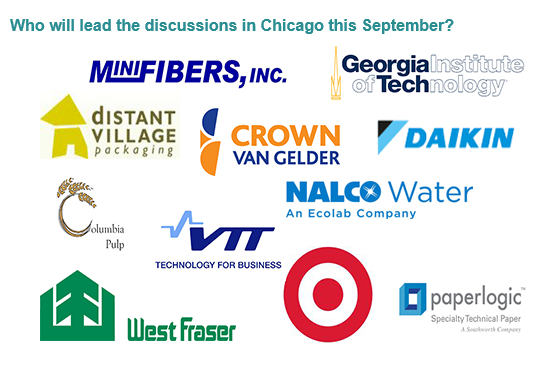 For more information on the Paper & Plastics Recycling Conference, click here. Founded in 1937, SPI: The Plastics Industry Trade Association promotes growth in the $373 billion U.S. plastics industry. Representing nearly 900,000 American workers in the third largest U.S. manufacturing industry, SPI delivers legislative and regulatory advocacy, market research, industry promotion and the fostering of business relationships and zero waste strategies. SPI also owns and produces the international NPE trade show. All profits from NPE are reinvested into SPI’s industry services. 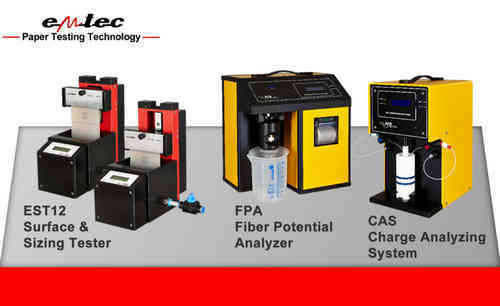 Find SPI online at http://www.plasticsindustry.org and http://www.inthehopper.org. "From resin suppliers and equipment makers to processors and brand owners, SPI is proud to represent all facets of the U.S. plastics industry," said William R. Carteaux, president and CEO, SPI. Our most recent economic reports show that the plastics industry as a whole is resilient, and has come through the recession significantly better than other U.S. manufacturing sectors." It will bring together representatives of business, banking community, authorities, and professionals of Forestry and Pulp & Paper Industry. The specialists will discuss prospects for the future development of the Russian Timber Industry. Banking sector: representatives of VEB, VTB, etc. Financial institutions: Finnvera, OEKB, IPIDC, etc.